Some items we take, we recycle ourselves and some we leave up to the pros. When we load our trucks we put aside the items that are easily recycled by us to save you money on our final dump fee. Items like glass, styrofoam and small amounts of plastics and wood are thrown in with the rest and are separated and recycled at the depot we dump our truck at. 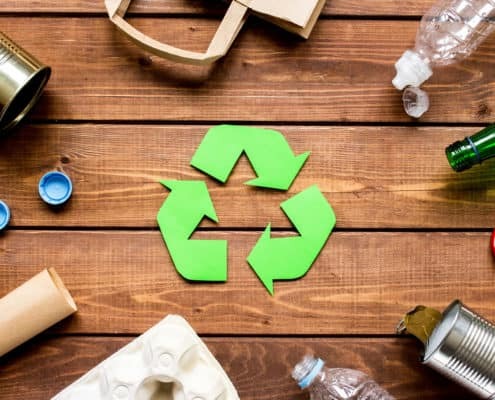 Are you wondering what you should be recycling in British Columbia? Check out this extensive list that we are happy to assist with. Some household items we take includes older drywall and vermiculite insulation may contain asbestos. Potential Asbestos containing items will need to be tested prior to removal and disposal, for this we use AREC. We are very knowledgeable in identifying these items and can take care of the sampling for you. If these items don’t contain asbestos we can dispose or recycle of them. 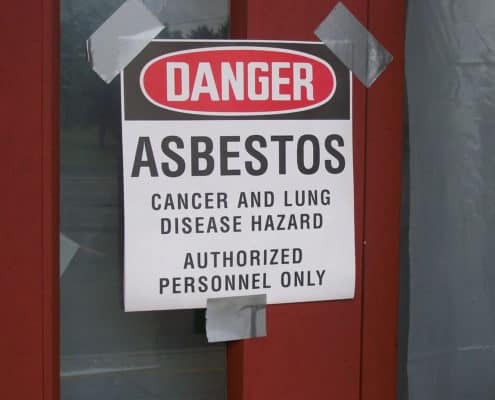 If asbestos is found in the testing, we recommend REMOVALL REMEDIATION. They will safely bag these items up, make sure your home or work space is safe and clear of contamination and remove/dispose of it properly. 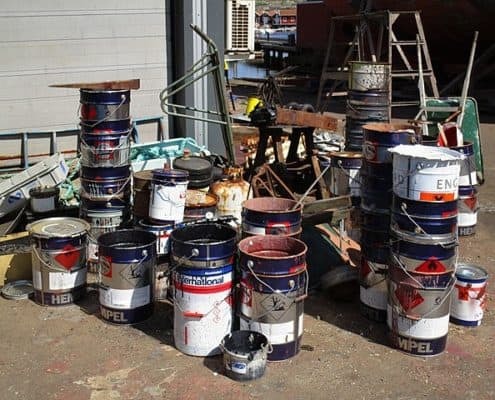 As a commercial business there are few paints, poisons and chemicals which we are unable to recycle at facilities around town. As a resident of any municipality, you can take these items to a proper disposal site for free or a small fee. WE TAKE JUST ABOUT ANYTHING, BUT TO BE MORE THOROUGH WE HAVE PROVIDED A COMPREHENSIVE LIST OF ITEMS YOU MAY NOT HAVE KNOWN ABOUT.